Made of premium material, the denture storage container is durable and for long lasting use. It can keep your mouth guard, retainer or denture clean. The case inhibits growth of bacteria during storage. Built-in ventilation system keeps your oral applicance dry and free from collecting odor. Great storage box for the denture or mouth guard. - Size: 7.5 x 5.8 x 2.8cm (LxWxH). - Made of premium material, the denture storage container is durable and for long lasting use. - Keep your mouth guard, retainer or denture clean. The case inhibits growth of bacteria during storage. - Built-in ventilation system keeps your oral applicance dry and free from collecting ador. - Can hold single orthodontic retainer for adults; transparent upper and down orthodontic retainer for children. 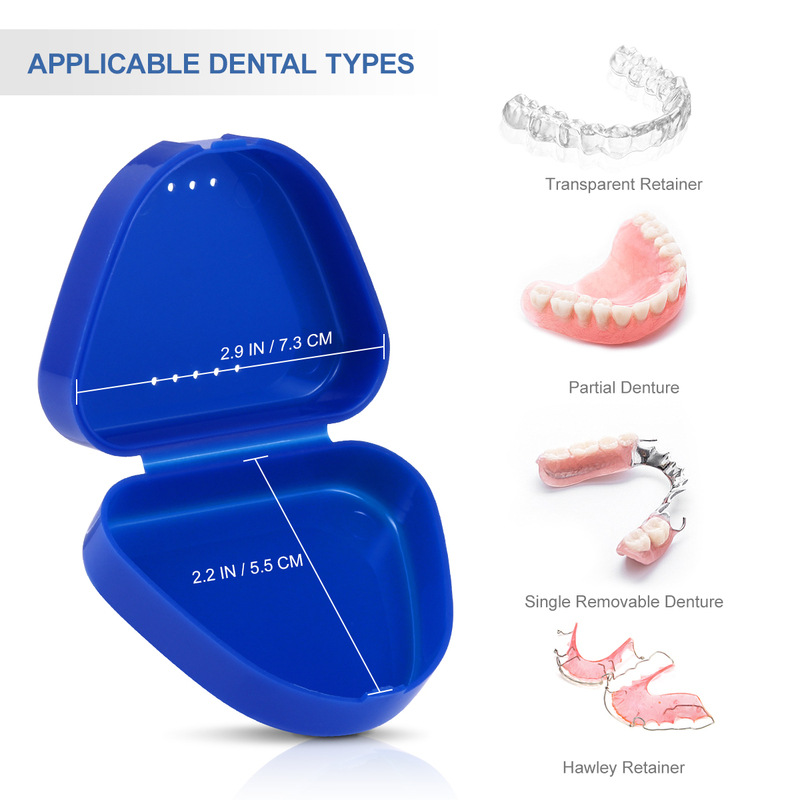 - 6pcs denture containers can meet your daily need. Exquisite Appearance - More Bright and saturate color will enlight your mood and make your life colorful. 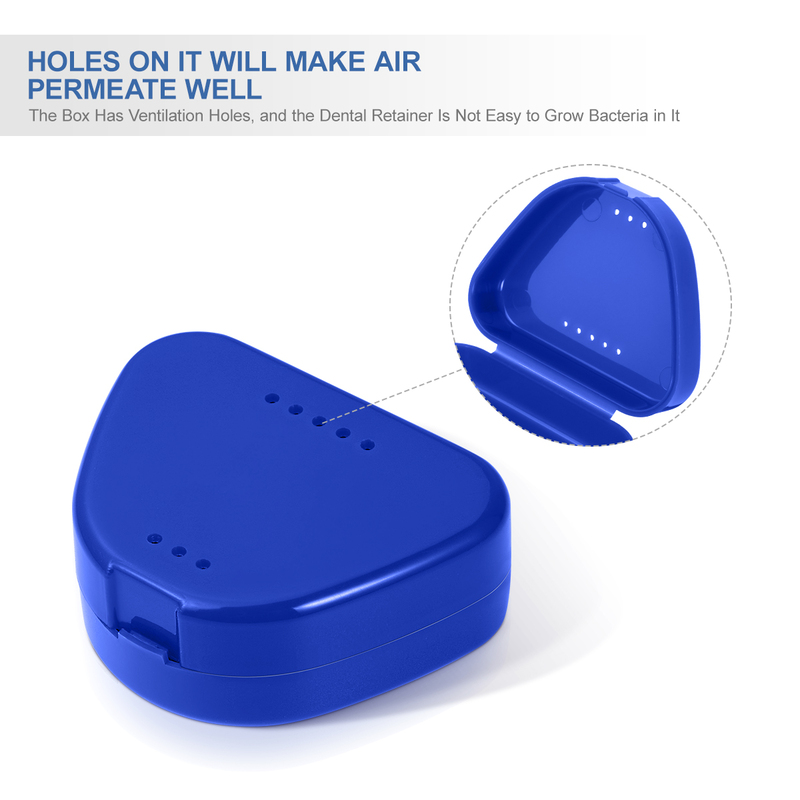 Vent Holes Design - Breathable and dry dental storage box with 8 ventilation holes on the bottom, so it is free from collecting odor. Eco-friendly Material - Made of premium PP material, not easily break and separate. more strong, durable, Antibacterial and more safe. More Portable - Convenient to use and can be carried everywhere.you can put one in Bedroom, Car, Office, Classroom or Grandfather's home. Enough Storage Room - Big enough for most retainers, transparent holder or half denture, the case inhibits growth of bacteria during storage.